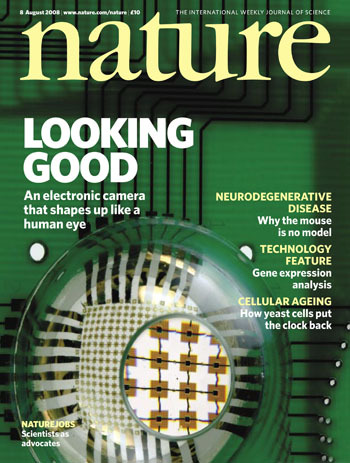 Click on a magazine cover below to see a larger version of it. Bernal, R., Aghaei, A., Lee, S., Ryu, S., Sohn, K., Huang, J., Cai, W., and Espinosa, H. Intrinsic bauschinger effect and recoverable plasticity in pentatwinned silver nanowires tested in tension. Nano Letters, 139 (2015). 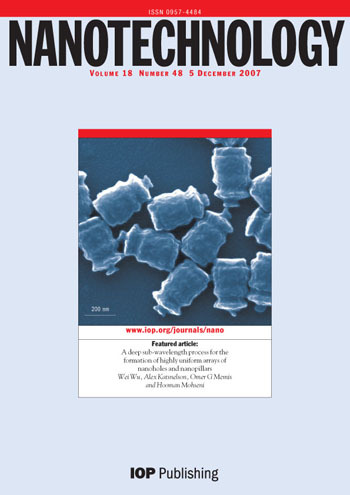 Krejci, M., Wasserman, B., Finney, L., McNulty, I., Legnini, D., Vogt, S., and Joester, D. Selectivity in biomineralization of barium and strontium. 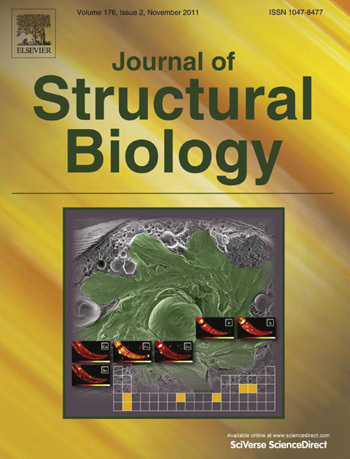 Journal of Structural Biology, 176 (2011). 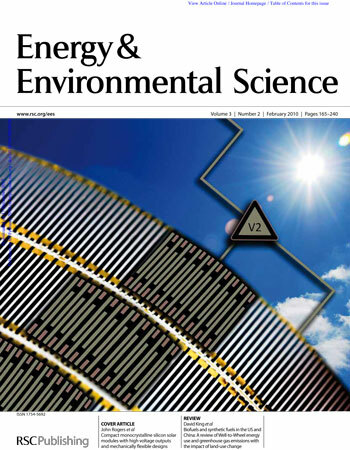 Tyler, T. P., Brock, R. E., Karmel, H. J., Marks, T. J. and Hersam, M. C., Organic Solar Cell Characterization: Electronically Monodisperse Single-Walled Carbon Nanotube Thin Films as Transparent Conducting Anodes in Organic Photovoltaic Devices (2011). F. J. Solis, G. Vernizzi and M. Olvera de la Cruz. 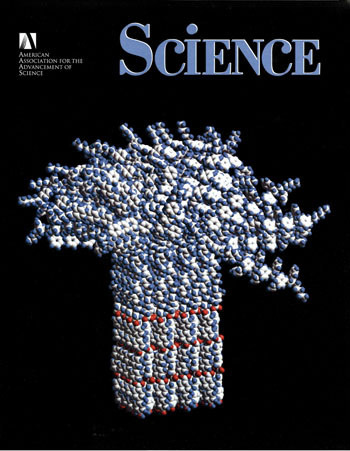 Electrostatic driven pattern formation in fibers, nanotubes and pores, Soft Matter 7, (2011). Ottino, J.M. 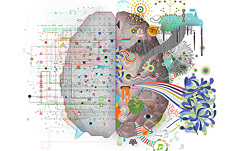 Chemical Engineering in a Complex World: Grand Challenges, Vast Opportunities. 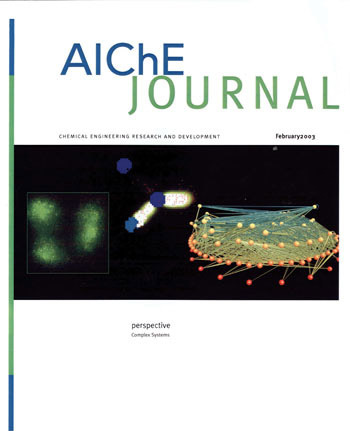 AIChE Journal, Vol. 57 No. 7 (7/2011). Lee, J., Wu, J., Shi, M., Yoon, J., Park, S.-I., Li, M., Liu, Z., Huang, Y. and Rogers, J. A. 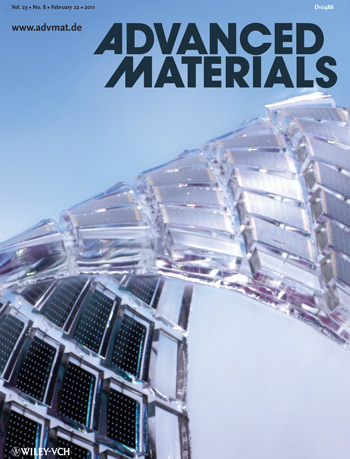 (2011), Stretchable Solar Cells: Stretchable GaAs Photovoltaics with Designs That Enable High Areal Coverage, Advanced Materials (8/2011). 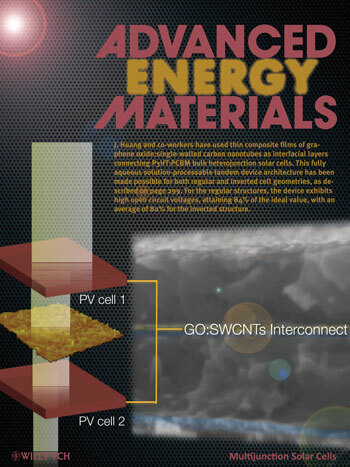 Tung, V. C., Kim, J., and Huang, J., Graphene Oxide: Single Walled Carbon Nanotube Based Interfacial Layer for All-solution-processed Multijunction Solar Cells in Both Regular and Inverted Geometries, Advanced Energy Materials (2011). 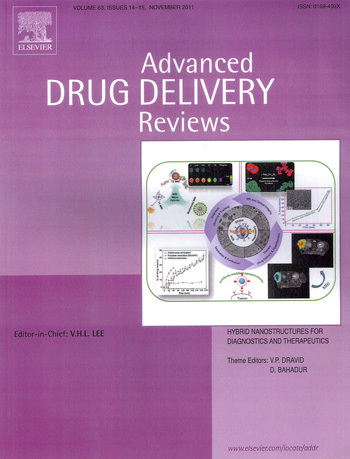 Bahadur, D., Dravid, V. P. Hybrid nanostructures for diagnostics and therapeutics, Advanced Drug Delivery Reviews, Volume 63, Issues 14–15, (2011). 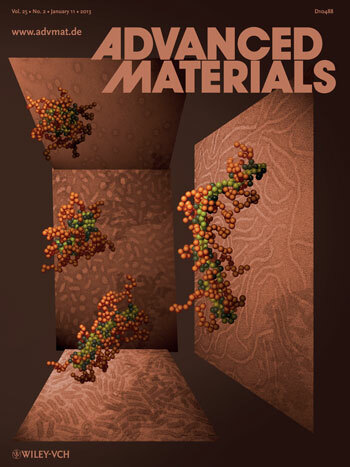 S inkovits, D.W. and Luijten, E. Nanoparticle-Controlled Aggregation of Colloidal Tetrapods. 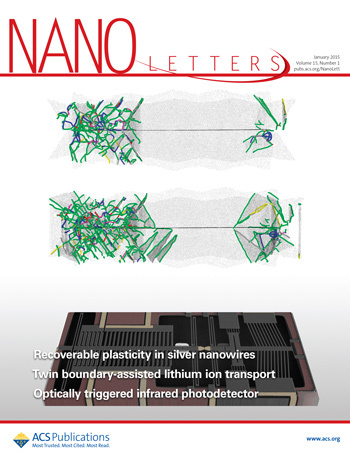 Nano Letters (2012). Green, A. A. and Hersam, M. C., Nearly Single-Chirality Single-Walled Carbon Nanotubes Produced via Orthogonal Iterative Density Gradient Ultracentrifugation. 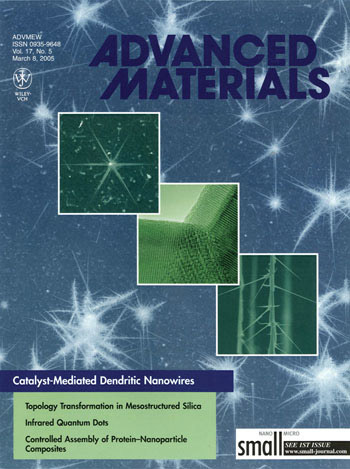 Advanced Materials, (2011). C.E. Wilmer, M. Leaf, C.Y. Lee, O.K. Farha, B.G. Hauser, J.T. Hupp and R. Q. Snurr. 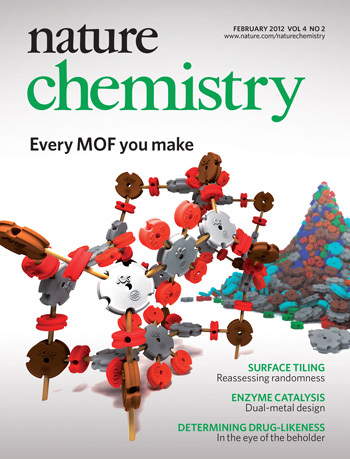 Large-scale screening of hypothetical metal-organic frameworks. Nature Chemistry (2011). Chung, E.J., Sugimoto, M., Koh, J. L., and Ameer, G.A. Low-pressure foaming: a novel method for the fabrication of porous scaffolds for tissue engineering. 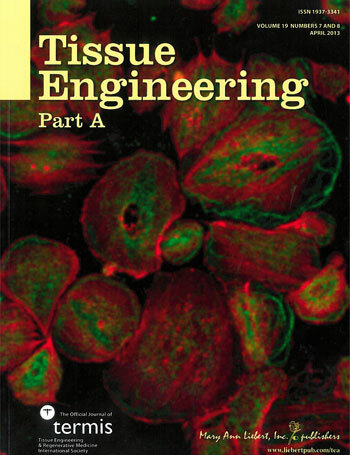 Tissue Engineering, 18. (2012). 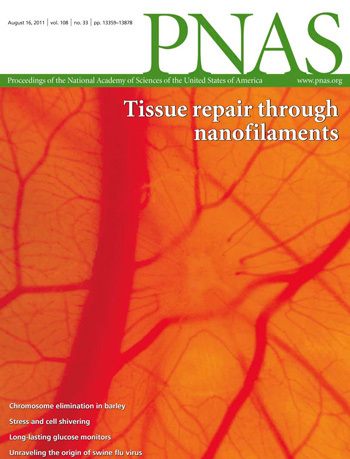 Webber, M. J.; Tongers, J.; Newcomb, C. J.; Losordo, D. W.; Stupp, S. I. Nanostructures that Mimic VEGF as a strategy for Ischemic Tissue Repair, Proceedings of the National Academy of Sciences (2011). Cote, L.J., Kim, J., Zhang, Z., Sun, C. & Huang, J. Tunable assembly of graphene oxide surfactant sheets: wrinkles, overlaps and impacts on thin film properties. 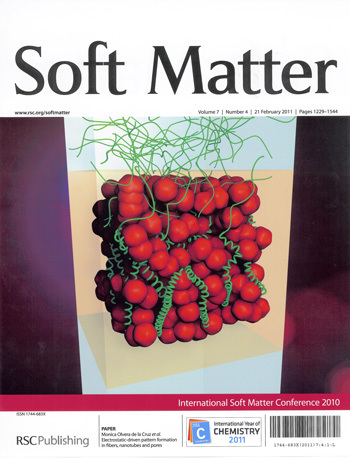 Soft Matter 6, 6096 (2010). Curet, O.M., Patankar, N. A., Lauder, G.V., MacIver, M. A. (2010) Aquatic maneuvering with counter-propagating waves: a novel locomotive strategy. 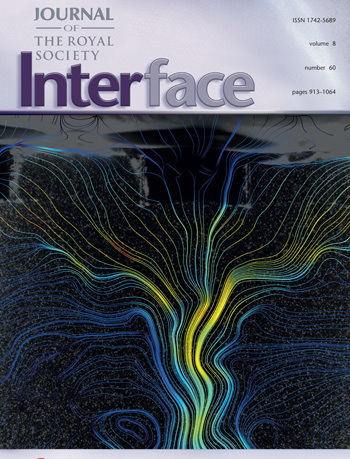 Journal of the Royal Society Interface, (7/2011). 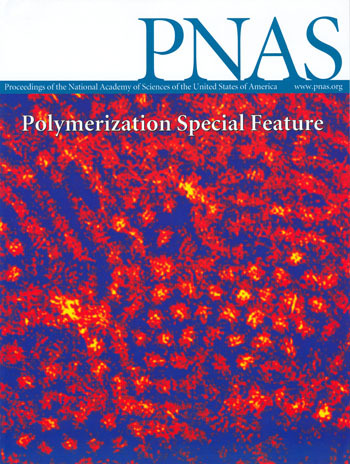 Xuan, J., Qu, W., Pan, D., Yong, R., Williford, J.-M., Cui, H., Luijten, E., Mao, H.-Q., Gene Delivery: Plasmid-Templated Shape Control of Condensed DNA-Block Copolymer Nanoparticles. 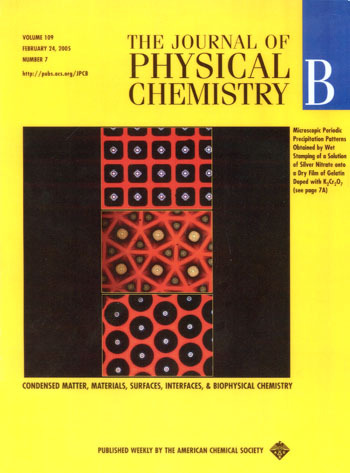 Advanced Materials 25 (2): 154 (2013). 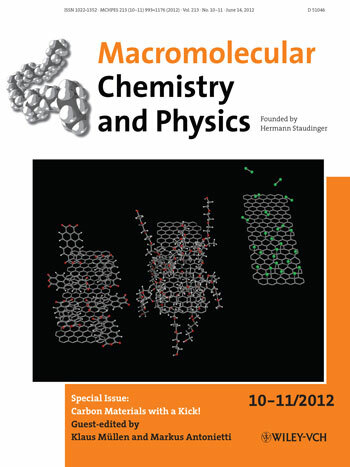 Luo, J., Kim, J., Huang, J., Material Processing of Chemically Modified Graphene: Some Challenges and Solutions. 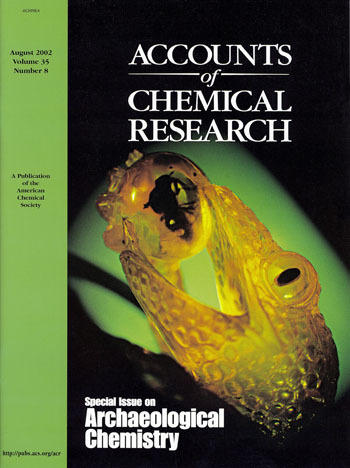 Accounts of Chemical Research 46 (10): 2225-2234 (2013). 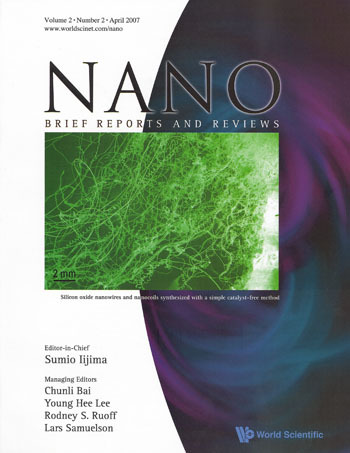 Ahn, J.-H., Zhu, Z., Park, S.-I., Xiao, J., Huang, Y., Rogers, J.A., Defect Tolerance and Nanomechanics in Transistors that Use Semiconductor Nanomaterials and Ultrathin Dielectrics. 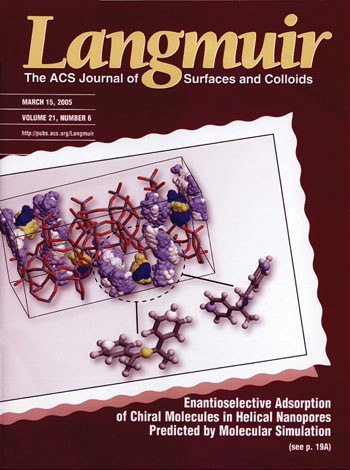 Advanced Functional Materials 18 (17): 2518 (2008). 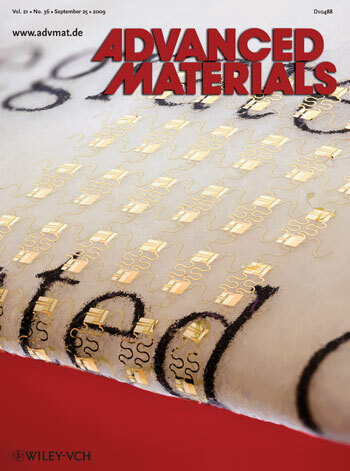 Kim, D.-H., Kim, Y.-S., Wu, J., Liu, Z., Song, J., Kim, H.-S., Huang, Y., Hwang, K.-C., Rogers, J.A., Flexible Electronics: Ultrathin Silicon Circuits With Strain-Isolation Layers and Mesh Layouts for High-Performance Electronics on Fabric, Vinyl, Leather, and Paper. 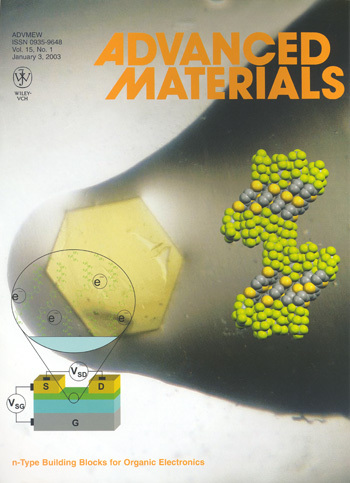 Advanced Materials 21 (36): (2009). 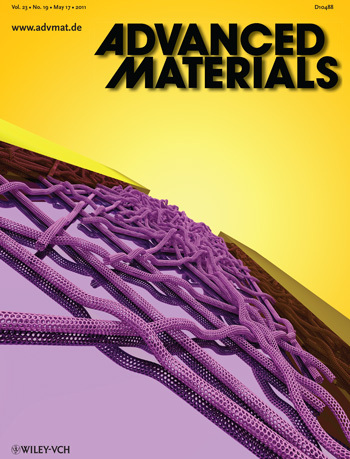 Tung, V.C., Kim, J., Huang, J., Graphene Oxide: Single-Walled Carbon Nanotube-Based Interfacial Layer for All-Solution-Processed Multijunction Solar Cells in Both Regular and Inverted Geometries. 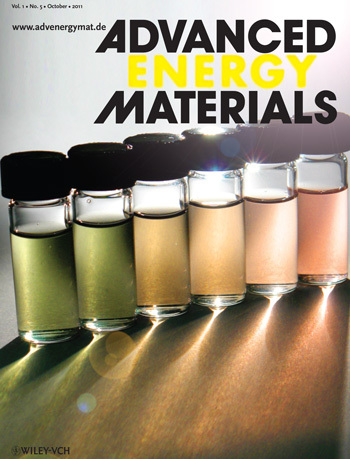 Advanced Energy Materials 2 (3): 298 (2012). Sohn, K., Na, Y.J., Chang, H., Roh, K.-M., Jang, H.D., Huang, J., Oil absorbing graphene capsules by capillary molding. Chemical Communications 48 (48): 5941-6056 (2012). Nap, R.J., Szleifer, I., How to optimize binding of coated nanoparticles: coupling of physical interactions, molecular organization and chemical state. 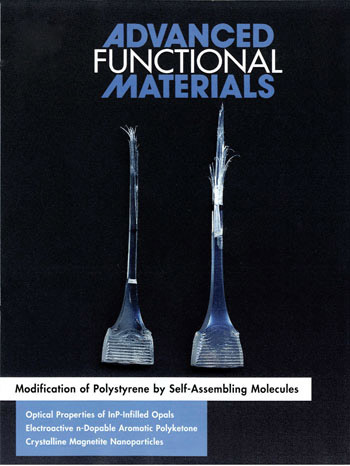 Biomaterials Science 1 (8): 797-788 (2013). 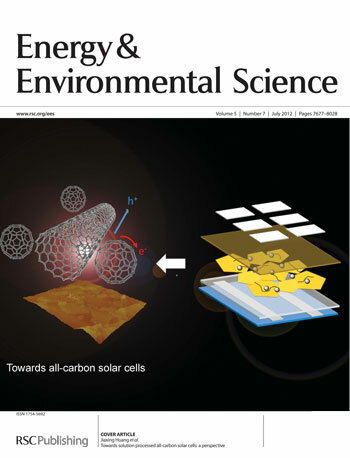 Tung, V.C., Huang, J.-H., Kim, J., Smith, A.J., Chu, C.-W., Huang, J., Towards solution processed all-carbon solar cells: a perspective. Energy & Environmental Science 5 (7): 7810-7818 (2012). Baca, A.J., Yu, K.J., Xiao, J., Wang, S., Yoon, J., Ryu, J.H., Stevenson, D., Nuzzo, R.G., Rockett, A.A., Huang, Y., Rogers, J.A., Compact monocrystalline silicon solar modules with high voltage outputs and mechanically flexible designs. Energy & Environmental Science 3 (2): 208-211 (2010). Krotter, M.K., Christov, I.C., Ottino, J.M., Lueptow, R.M., Cutting and Shuffling A Line Segment: Mixing By Interval Exchange Transformations. 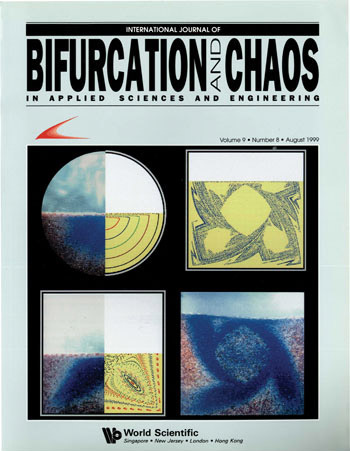 International Journal of Bifurcation and Chaos in Applied Sciences and Engineering 22 (12): 18 pages (2012). Jiang, H., Yu, M.-F., Lu, J.-Q., Huang, Y., Johnson, H.T., Zhang, X.-G., Ferreira, P., Carbon Nanotube Electronic Displacement Encoder with Sub-Nanometer Resolution. 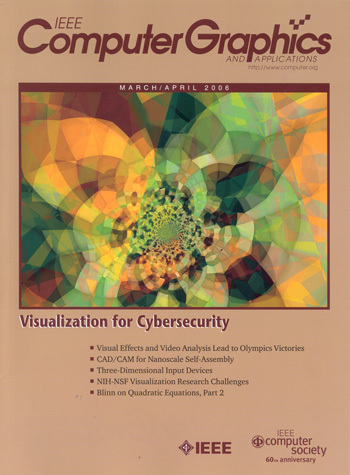 Journal of Computational and Theoretical Nanoscience 4 (3): 574-577 (2007). 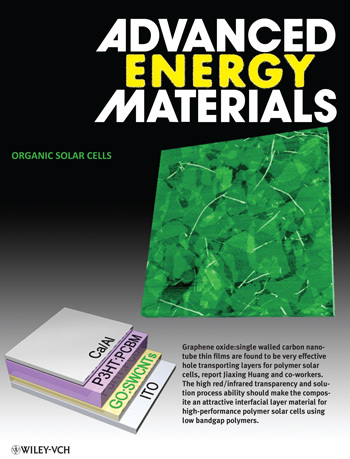 Liang, Y.T., Hersam, M.C., Towards Rationally Designed Graphene-Based Materials and Devices. 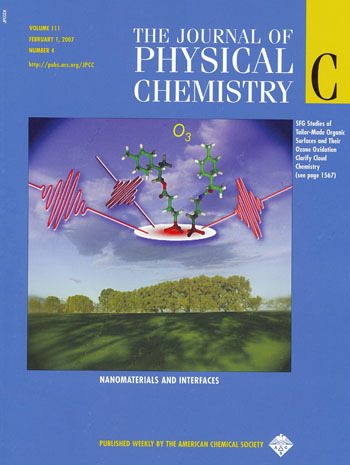 Macromolecular Chemistry and Physics 213 (10-11): 993 (2012). 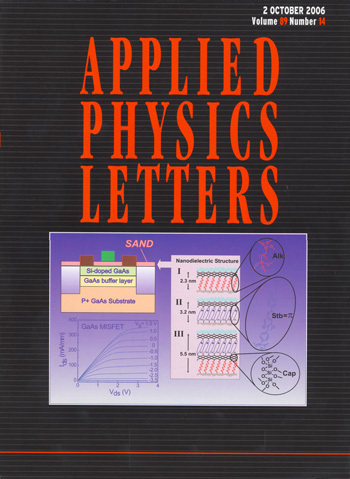 Alaboson, J.M.P., Sham C.-H., Kewalramani, S., Emery, J.D., Johns, J.E., Deshpande, A., Chien, T., Bedzyk, M.J., Elam, J.W., Pellin, M.J., Hersam, M.C, Templating Sub-10 nm Atomic Layer Deposited Oxide Nanostructures on Graphene via One-Dimensional Organic Self-Assembled Monolayers. 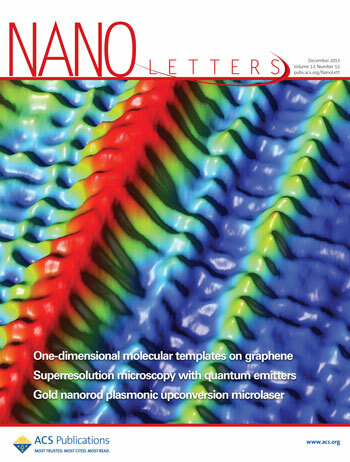 Nano Letters 13 (12): 5763-5770 (2013). Ying, M., Bonifas, A.P., Lu, N., Su, Y., Li, R., Cheng, H., Ameen, A., Huang, Y., Rogers, J.A., Silicon nanomembranes for fingertip electronics. 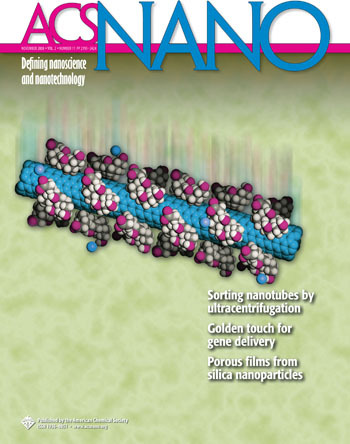 Nanotechnology 23 (34): 1-7 (2012). Kim, D.-H., Viventi, J., Amsden, J.J., Xiao, J., Vigeland, L., Kim, Y.-S., Blanco, J.A., Panilaitis, B., Frechette, E.S., Contreras, D., Kaplan, D.L., Omenetto, F.G., Huang, Y., Hwang, K.-C., Zakin, M.R., Litt, B., Rogers, J.A., Dissolvable films of silk fibroin for ultrathin conformal bio-integrated electronics. 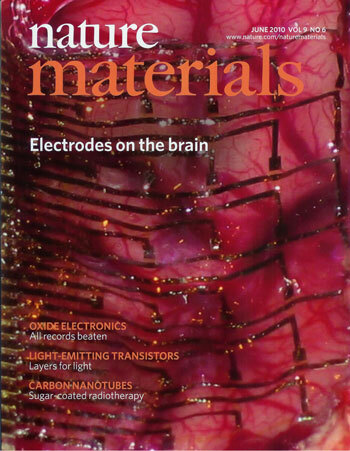 Nature Materials 9 (6): 511-517 (2010). 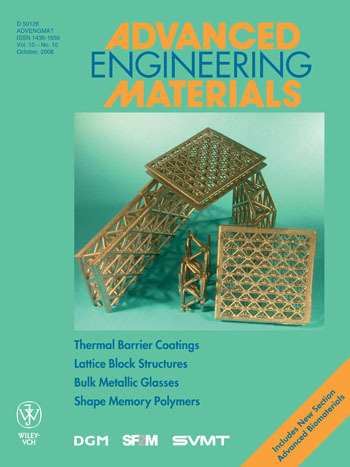 Kim, D.-H., Song, J., Choi, W.M., Kim, H.-S., Kim, R.-H., Liu, Z., Huang, Y.Y., Hwang, K.-C., Zhang, Y.-W., Rogers, J.A., Materials and noncoplanar mesh designs for integrated circuits with linear elastic responses to extreme mechanical deformations. Proceedings of the National Academy of Sciences of the United States of America 105 (48): 18675-18680 (2008). Jung, I., Xiao, J., Malyarchuk, V., Lu, C., Li, M., Liu, Z., Yoon, J., Huang, Y., Rogers, J.A., Dynamically tunable hemispherical electronic eye camera system with adjustable zoom capability. Proceedings of the National Academy of Sciences of the United States of America 108 (5): 1788-1793 (2011). 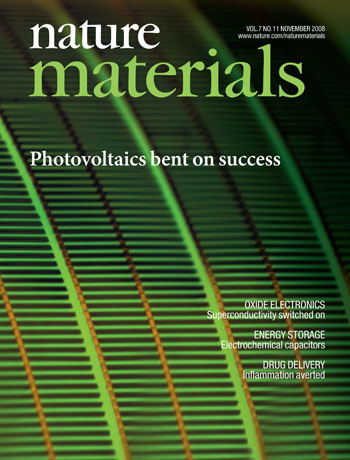 Kim, H.-S., Brueckner, E., Song, J., Li, Y., Kim, S., Lu, C., Sulkin, J., Choquette, K., Huang, Y., Nuzzo, R.G., Rogers, J.A., Unusual strategies for using indium gallium nitride grown on silicon for solid-state lighting. 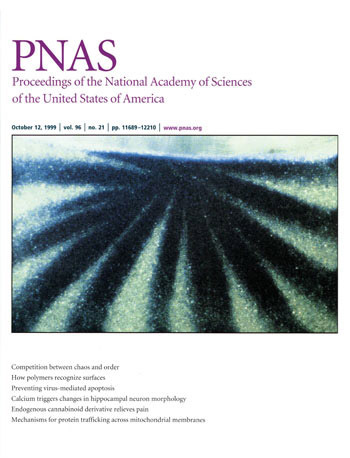 Proceedings of the National Academy of Sciences of the United States of America 108 (25): 10072-10077 (2011). Sandana, V.E., Rogers, D.J., Teherani, F.H., Bove, P., Molinari, M., Troyon, M., Largeteau, A., Demazeau, G., Scott, C., Orsal, G., Drouhin, H.-J., Ougazzaden, A., Razeghi, M., How to optimize binding of coated nanoparticles: coupling of physical interactions, molecular organization and chemical state. physica status solidi (c) 10 (10): 1255-1336 (2013). 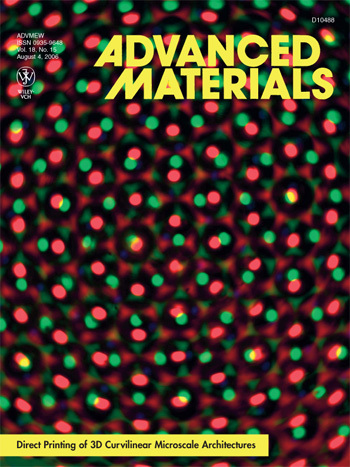 Tan, A.T.L., Kim, J., Huang, J.-K., Li, L.-J., Huang, J., Fluorescence Quenching: Seeing Two-Dimensional Sheets on Arbitrary Substrates by Fluorescence Quenching Microscopy. Small 9 (19): 3252 (2013). Kim, R.-H., Tao, H., Kim, T.-I., Zhang, Y., Kim, S., Panilaitis, B., Yang, M., Kim, D.-H., Jung, Y.H., Kim, B.H., Li, Y., Huang, Y., Omenetto, F.G., Rogers, J.A., Flexible Electronics: Materials and Designs for Wirelessly Powered Implantable Light-Emitting Systems Small 8 (18): 2770 (2012). 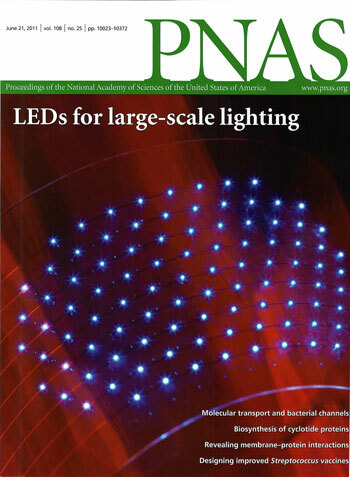 Kim, T.I., Jung, Y.H., Song, J., Kim, D., Li, Y., Kim, H.-S., Wierer, J.J., Pao, H.A., Huang, Y., Rogers, J.A., Light-Emitting Diodes: High-Efficiency, Microscale GaN Light-Emitting Diodes and Their Thermal Properties on Unusual Substrates. Small 8 (11): 1625 (2012). 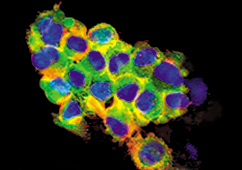 Panuganti, S., Schlinker, A.C., Lindholm, P.F., Papoutsakis, E.T., Miller, W.M., Three-Stage Ex Vivo Expansion of High-Ploidy Megakaryocytic Cells: Toward Large-Scale Platelet Production. 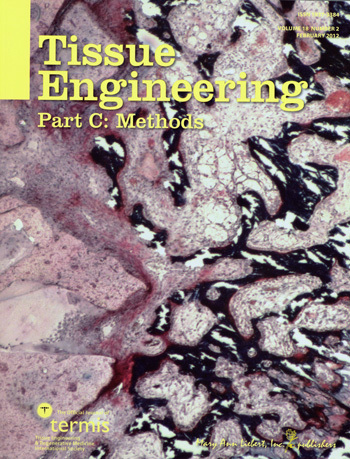 Tissue Engineering Part A 19 (7-8): 998-1014 (2013). Daskin., M.S., What you should know about location modeling. 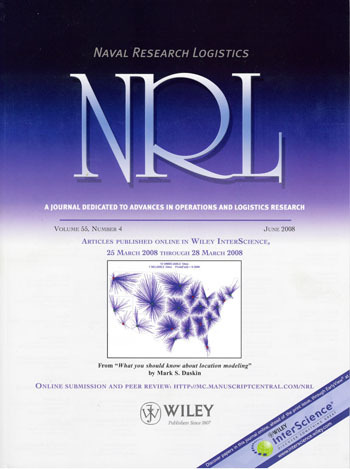 Naval Research Logistics 55: 4 (2008). Sturman, R., Meier S.W., Ottino J.M., Wiggins S., Linked twist map formalism in two and three dimensions applied to mixing in tumbled granular flows. 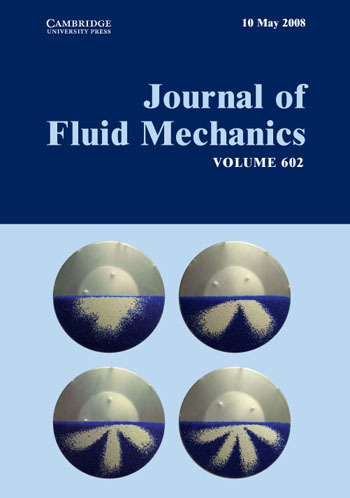 Journal of Fluid Mechanics 602: (2008). 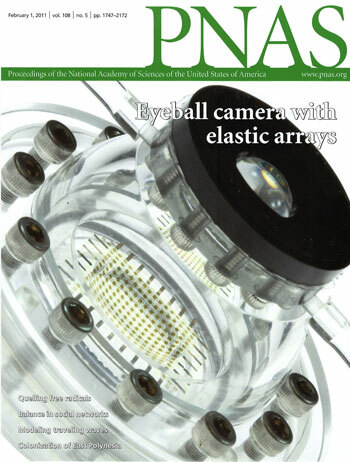 Ko, H.C., Stoykovich M.P., Song J.Z., Malyarchuk V., Choi W.M., Yu C.J., Geddes J.B., Xiao J.L., Wang S.D., Huang Y.G., Rogers J.A., A hemispherical electronic eye camera based on compressible silicon optoelectronics. 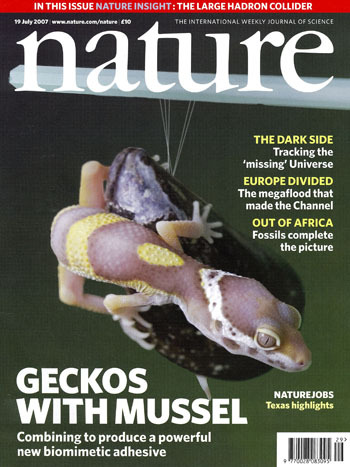 Nature 454 (2008): 748-53. Moore, R.O., Biondini G., Kath. W.L., A method to compute statistics of large, noise-induced perturbations of nonlinear Schrodinger solitons. 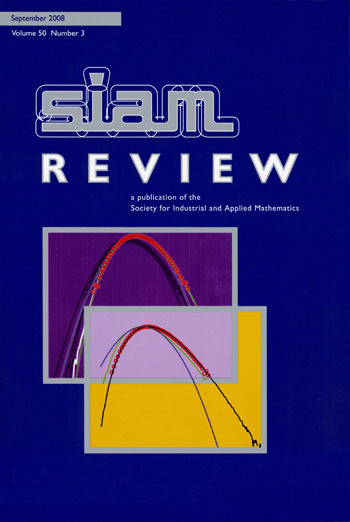 Siam Review 50 (2008): 523-49. 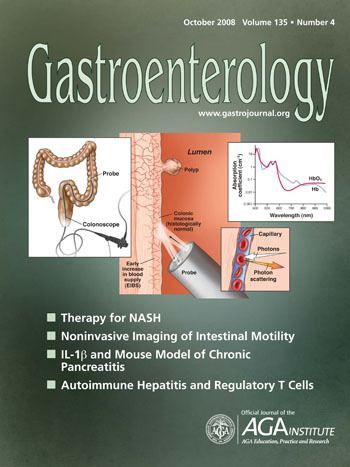 Hemant, R.K., Gomes A., Turzhitsky V., Goldberg M.J., Rogers J., Ruderman S., Young K.L., Kromine A., Brand R.E., Jameel M., Vakil P., Hasabou N., Backman V., Spectroscopic microvascular blood detection from the endoscopically normal colonic mucosa: Biomarker for neoplasia risk. Gastroenterology 135 (2008): 1069-078. Mason, T.O., Perry N.H., Kidner N.J., The Brick Layer Model Revisited: Introducing the Nano-Grain Composite Model. Journal of the American Ceramic Society 91 (2008): 1733-746. Li, Q., Bice D.R., Dunand D.C., Mechanical Properties of Cast Ti-6Al-2Sn-4Zr-2Mo Lattice Block Structures. 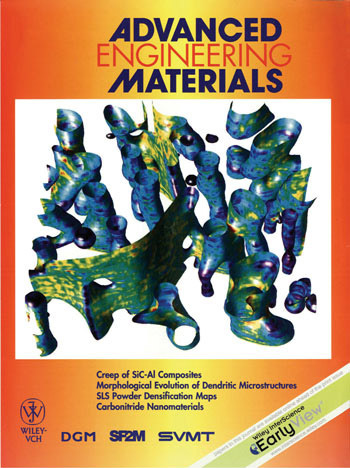 Advanced Engineering Materials 10 (2008): 939-942. Yoon, J., Baca A.J., Park S., Elvikis J.B., Geddes J.B., Li L., Kim R.H., Xiao J., Wang S., Kim T., Motala M.J., Ahn B.Y., Duoss E.B., Lewis J.A., Nuzzo R.G., Ferreira P.M., Huang Y., Rockett A., Rogers J.A., Ultrathin silicon solar microcells for semitransparent, mechanically flexible and microconcentrator module designs. Nature Materials 7 (2008): 907-915. Arnold, M.S., Suntivich J., Stupp S.I., Hersam M.C., Hydrodynamic Characterization of Surfactant Encapsulated Carbon Nanotubes Using an Analytical Ultracentrifuge. ACS Nano 2 (2008): 2291-2300. 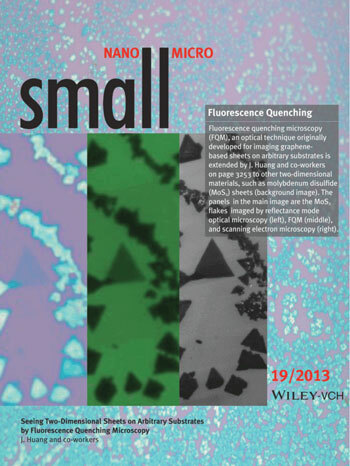 Guisinger, N.P., Elder S.P., Yoder N.L., Hersam M.C., Ultra-high vacuum scanning tunneling microscopy investigation of free radical adsorption to the Si(111)-7 x 7 surface. 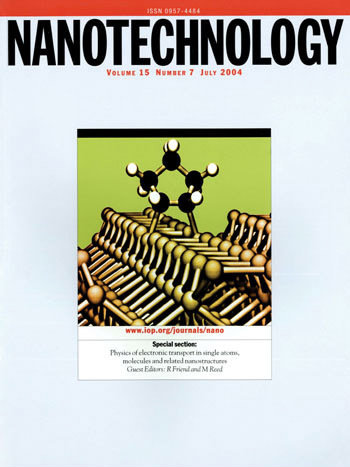 Nanotechnology 18 (4): 044011 (2007). 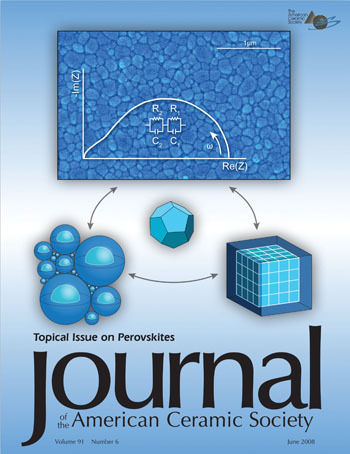 Voges, A.B., Stokes, G.Y., Gibbs-Davis, J.M., Lettan, R.B., Bertin, P.A., Pike, R.C., Nguyen, S.T., Scheidt, K.A., and Geiger, F.M., Insights into heterogeneous atmospheric oxidation chemistry: Development of a tailor-made synthetic model for studying tropospheric surface chemistry. The Journal of Physical Chemistry 111 (4): 1567-1578 (2007). Houchin-Ray, T., Whittlesey, K.J., Shea, L.D., Spatially patterned gene delivery for localized neuron survival and neurite extension. 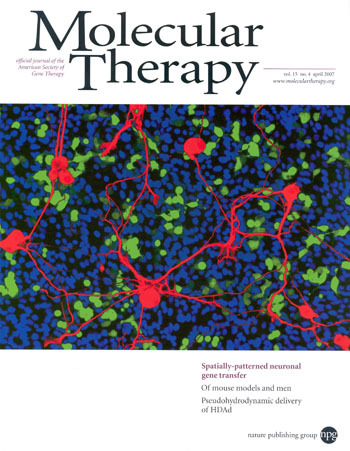 Molecular Therapy 15 (4): 705-712 (2007). Chen, X., Ruoff, R.S., Simple and catalyst-free synthesis of silicon oxide nanowires and nanocoils. Nano 2 (2): 91-95 (2007). 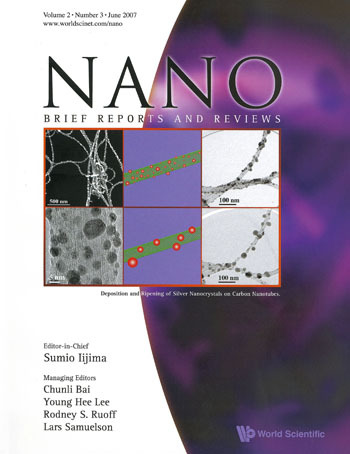 Zhu, L., Lu, G., Mao, S., Chen, J., Dikin, D.A., Chen, X., Ruoff, R.S., Ripening of silver nanoparticles on carbon nanotubes. Nano 2 (3): 149-156 (2007). Lee, H., Lee, B.P., Messersmith, P.B., A reversible wet/dry adhesive inspired by mussels and geckos. Nature 448 (7151): 338-U4 (2007). Wu, W., Katsnelson, A., Memis, O.G., Mohseni, H.. A deep sub-wavelength process for the formation of highly uniform arrays of nanoholes and nanopillars. Nanotechnology 18 (48): Art. No. 485302 (2007). Gaillard, J.F., Chen C., Stonedahl, S.H., Lau, B.L.T., Keane, D.T., Packman, A.I., Imaging of colloidal deposits in granular porous media by X-ray difference micro-tomography. Geophysical Research Letters 34 (18): Art. No. L18404 (2007). 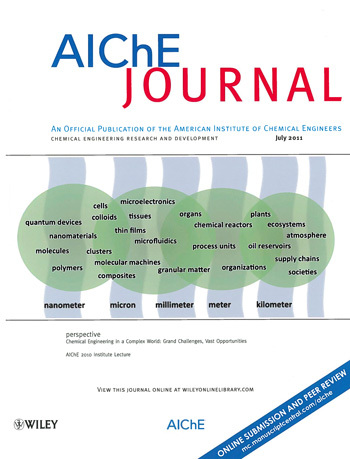 Farewell cover featuring Julio M. Ottino as he retires as AIChE editor. Kolikant, Y. 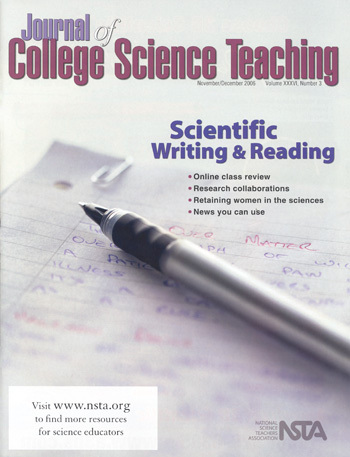 B., Gatchell, D. W., Hirsch, P. L., Linsenmeier, R. A., A cognitive-apprenticeship-inspired instructional approach for teaching scientific writing and reading. Journal of College Science Teaching 36 (3): 20-25 (2006). Cover art by M.E. van Dalen, D.C. Dunand, D.N. Seidman. 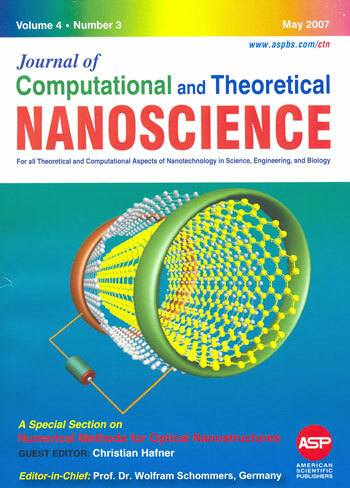 Perea, D.E., Allen, J.E., May, S.J., Wessels, B.W., Seidman, D.N., Lauhon, L.J., Three-dimensional nanoscale composition mapping of semiconductor nanowires. 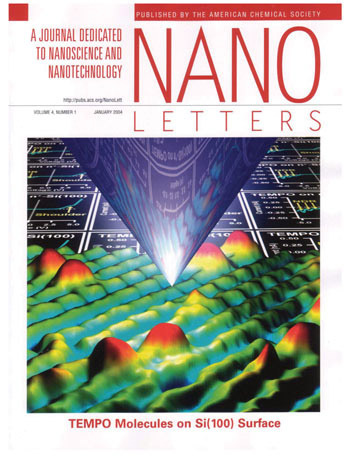 Nano Letters 6 (2): 181-185 (2006). Russell, M.T., Pingree, L.S.C., Hersam, M.C., Marks, T.J., Microscale features and surface chemical functionality patterned by electron beam lithography: A novel route to poly(dimethylsiloxane) (PDMS) stamp fabrication. Langmuir 22 (15): 6712-6718 (2006). Lin, H. C., Ye, P. D., Xuan, Y., Lu, G., Facchetti, A., Marks, T. J., High-performance GaAs metal-insulator-semiconductor field-effect transistors enabled by self-assembled nanodielectrics. Applied Physics Letters 89 (14): Art No. 142101 (2006). Searcy K.E., Packman, A.I., Atwill, E.R., Harter, T., Capture and retention of Cryptosporidium parvum oocysts by Pseudomonas aeruginosa biofilms. 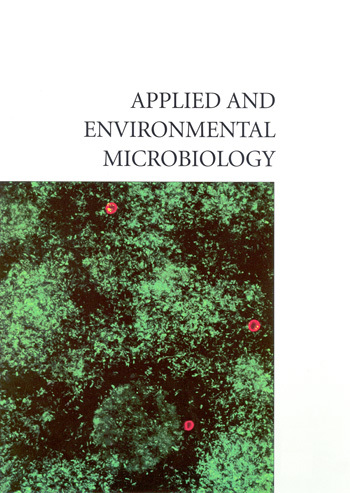 Applied and Environmental Microbiology 72 (9): 6242-6247 (2006). Wu, P.J., Walsh, J.T., Stokes polarimetry imaging of rat tail tissue in a turbid medium: degree of linear polarization image maps using incident linearly polarized light. 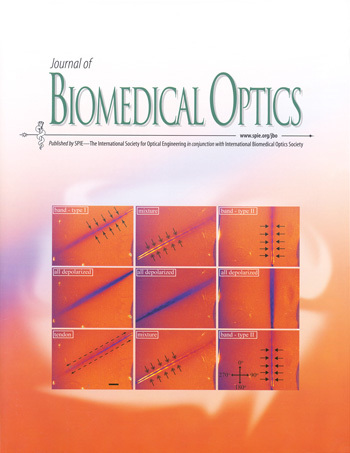 Journal of Biomedical Optics 11 (1): Art. No. 014031 (2006). Li, H.B., Marks, T.J., Nuclearity and cooperativity effects in binuclear catalysts and cocatalysts for olefin polymerization. Proceedings of the National Academy of Science of the United States of America 103 (42): 15295-15302 (2006). 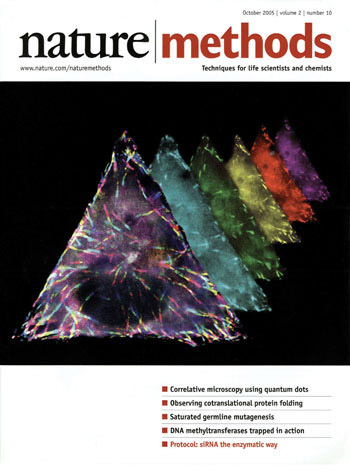 Kandere-Grzybowska, K., Campbell, C., Komarova, Y., Grzybowski, B.A., Borisy, G.G., Molecular dynamics imaging in micropatterned living cells. 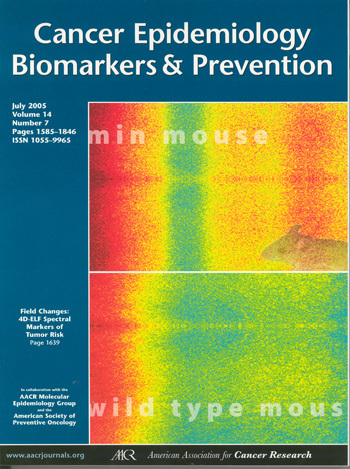 Nature Methods 2 (10): 739-741 (2005). 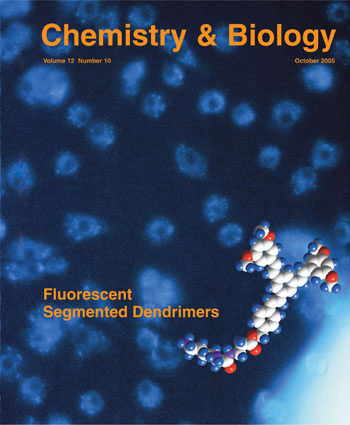 Harrington, D.A., Behanna, H.A., Tew, G.N., Claussen, R.C., Stupp, S.I., Supramolecular fluorophores for biological studies: Phenylene vinylene-amino acid amphiphiles. Chemistry & Biology 12 (10): 1085-1091 (2005). Broadbelt, L.J., Pfaendtner, J., Lexicography of kinetic modeling of complex reaction networks. 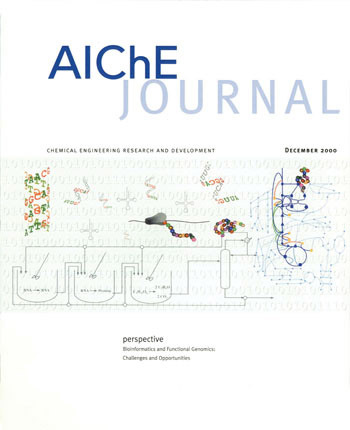 AIChE Journal 51 (8): 2112-2121 (2005). 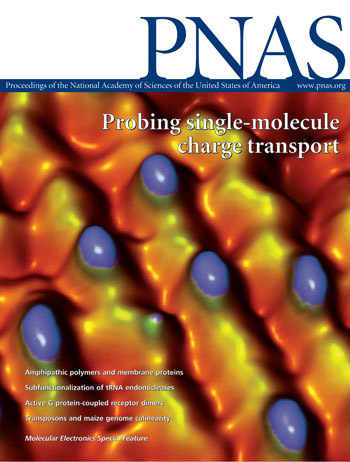 Guisinger, N.P., Yoder, N.L., Hersam, M.C., Probing charge transport at the single-molecule level on silicon by using cryogenic ultra-high vacuum scanning tunneling microscopy. Proceedings of the National Academy of Sciences in the United States of America 102 (25): 8838-8843 (2005). 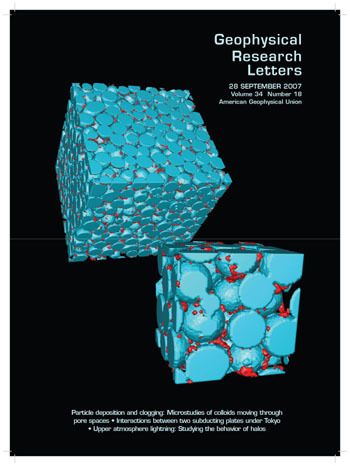 Stendahl, J.C., Zubarev, E.R., Arnold, M.S., Hersam, M.C., Sue, H.J., Stupp, S.I., Structural modifications to polystyrene via self-assembling molecules. 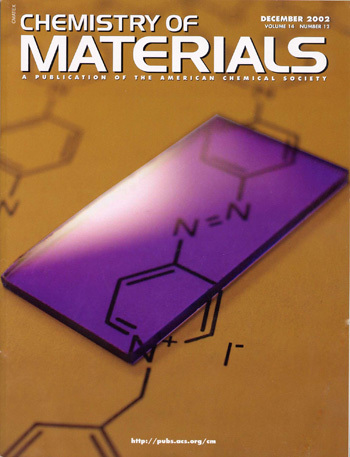 Advanced Functional Materials 15 (3): 487-493 (2005). Clark, L.A., Chempath, S., Snurr, R.Q., Simulated adsorption properties and synthesis prospects of homochiral porous solids based on their heterochiral analogs. 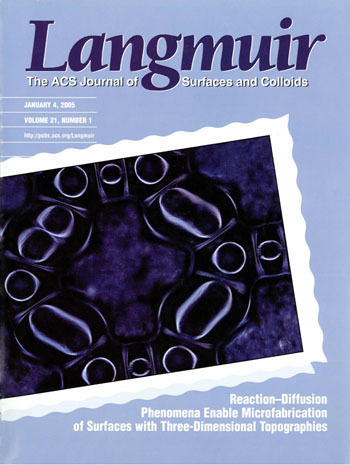 Langmuir 21 (6): 2267-2272 (2005). 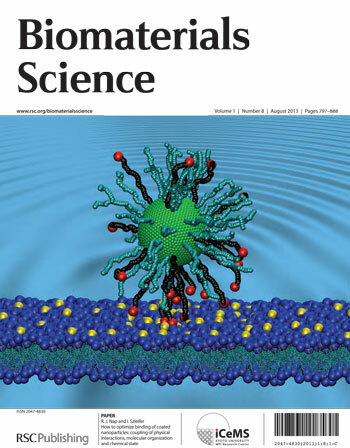 Grzybowski, B.A., Bishop, K.J.M., Campbell, C.J., Fialkowski, M., Smoukov, S.K., Micro- and nanotechnology via reaction-diffusion. 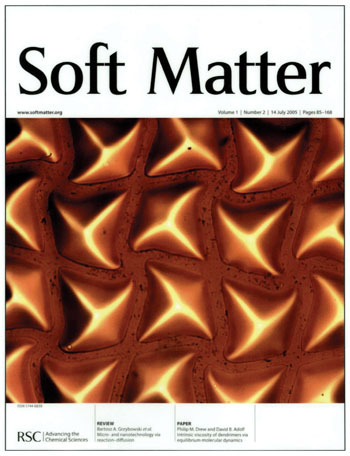 Soft Matter 1 (2): 114-128 (2005). 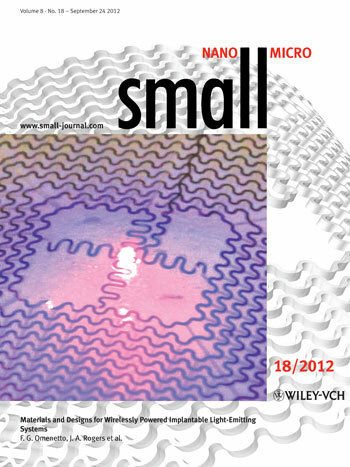 Campbell, C.J., Klajn, R., Fialkowski, M., Grzybowski, B.A., One-step multilevel microfabrication by reaction-diffusion. 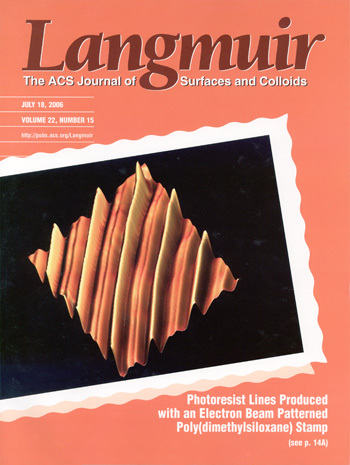 Langmuir 21 (1): 418-423 (2005). 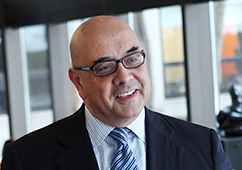 Amaral, L., Novel collaborations within experienced teams lead to best research outcomes. 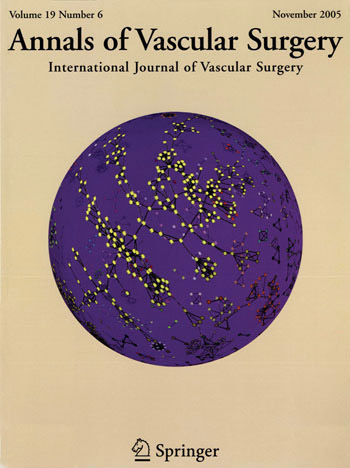 Annals of Vascular Surgery 19 (6): 753-754 (2005). 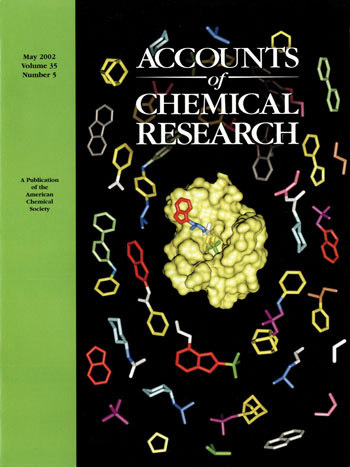 Fialkowski, M., Bishop, K.J.M., Chubukov, V.A., Campbell, C.J., Grzybowski B.A., Architecture and evolution of organic chemistry. 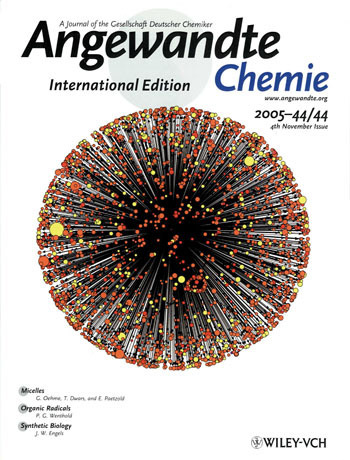 Angewandte Chemie - Interntaional Edition 44 (44): 7263-7269 (2005). 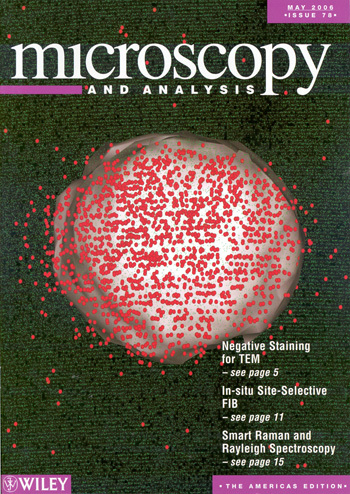 Bensemann, I.T., Fialkowski, M., Grzybowski, B.A., Wet stamping of microscale periodic precipitation patterns. 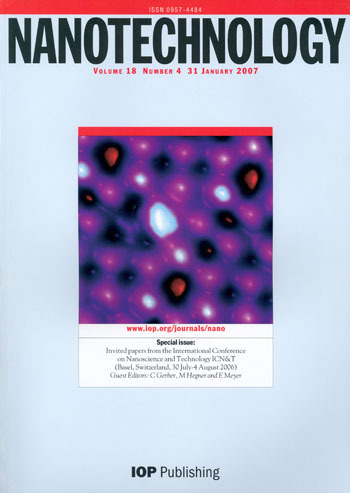 Journal of Physical Chemistry B 109 (7): 2774-2778 (2005). Chen, K., Taflove, A., Kim, Y.L., Backman, V., Self-assembled patterns of nanospheres with symmetries from submicrons to centimeters. 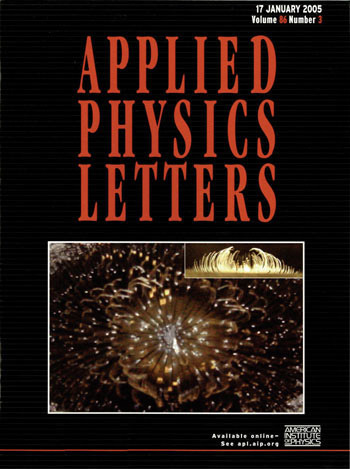 Applied Physics Letters 86 (3): Art. No. 033101 (2005). Ottino, J.M., The future of chemical engineering research. 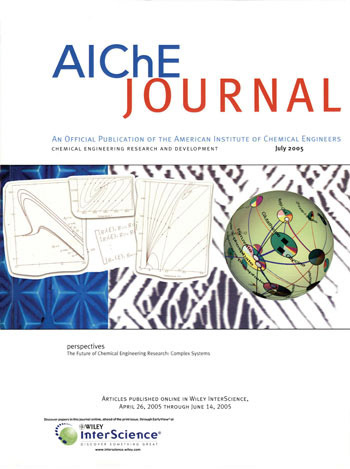 AIChE Journal 51: 1840-1845 (2005). Pappas, T.N., Chen, J., Depalov, D., Learning perception. 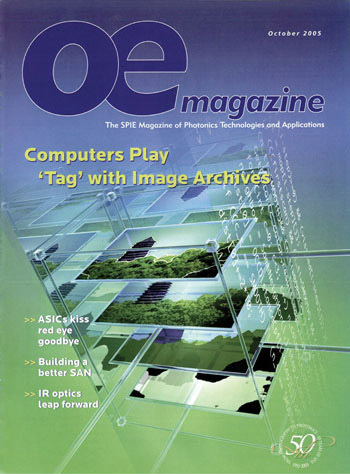 OE Magazine 5: 18-20 (2005). 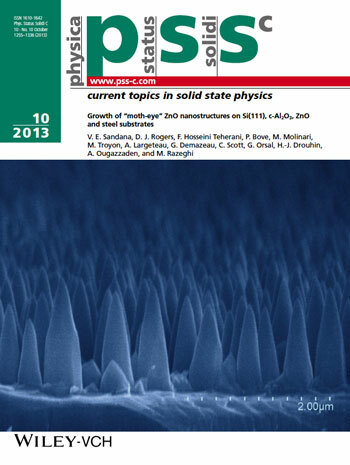 May, S.J., Zheng, J.G., Wessels, B.W., Lauhon, L.J., Dendritic nanowire growth mediated by a self-assembled catalyst. 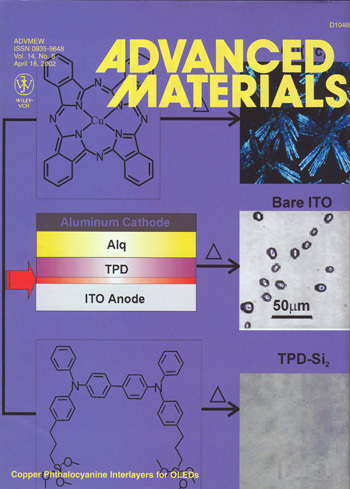 Advanced Materials 17 (5): 598-+ (2005). 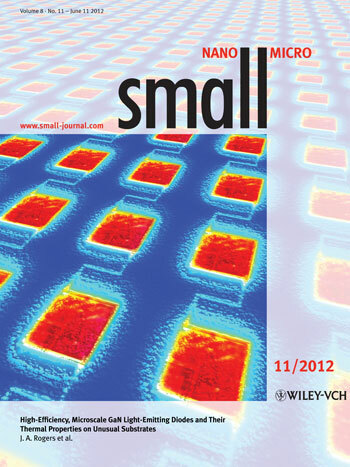 Gu, Y., Kwak, E.S., Lensch, J.L., Allen, J.E., Odom, T.W., Lauhon, L.J., Near-field scanning photocurrent microscopy of a nanowire photodetector. 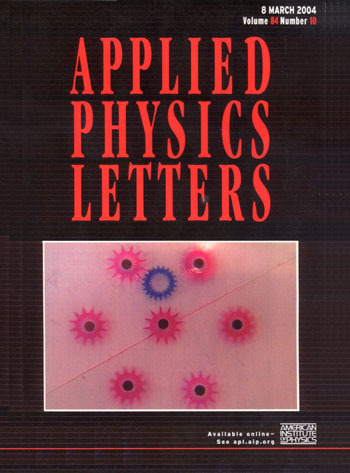 Applied Physics Letters 87 (4): Art. No. 043111 (2005). 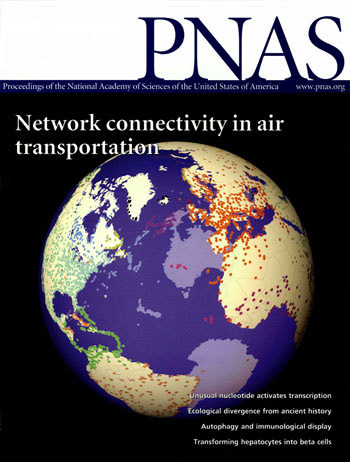 Guimera, R., Mossa, S., Turtschi, A., Amaral, L.A.N., The worldwide air transportation network: Anomalous centrality, community structure, and cities' global roles. 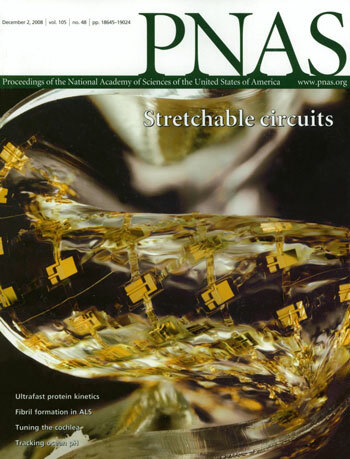 Proceedings of the National Academy of Sciences in the United States of America 102 (22): 7794-7799 (2005). Wu, P.J., Walsh, J.T., Stokes polarimetry imaging of rat-tail tissue in a turbid medium using incident circularly polarized light. 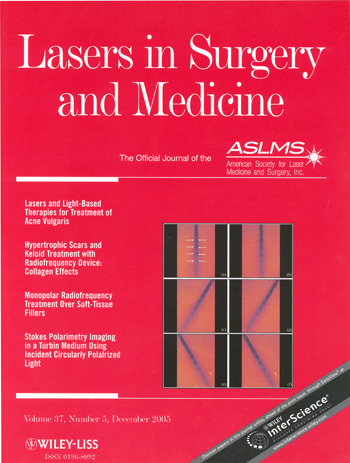 Lasers in Surgery and Medicine 37 (5): 396-406 (2005). Campbell, C.J., Fialkowski, M., Klajn, R., Bensemann, I.T., Grzybowski, B.A., Color micro- and nanopatterning with counter-propagating reaction-diffusion fronts. 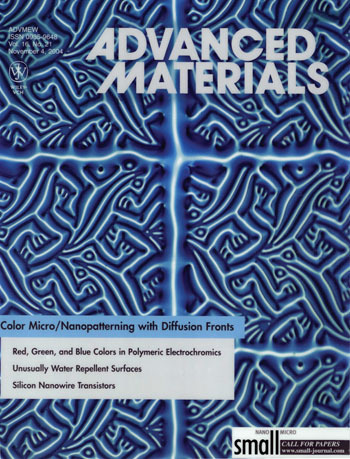 Advanced Materials 16 (21): 1912-+ (2004). Guisinger, N.P., Basu, R., Greene, M.E., Baluch, A.S., Hersam, M.C., Observed suppression of room temperature negative differential resistance in organic monolayers on Si(100). Nanotechnology 15 (7): S452-S458 (2004). 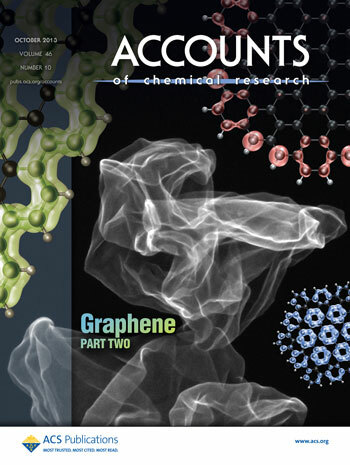 Grzybowski, B.A., Radkowski, M., Campbell, C.J., Lee, J.N., Whitesides, G.M., Self-assembling fluidic machines. 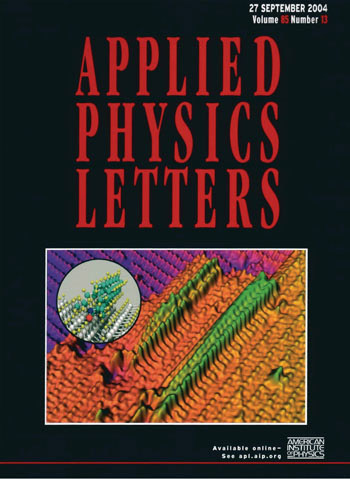 Applied Physics Letters 84 (10): 1798-1800 (2004). 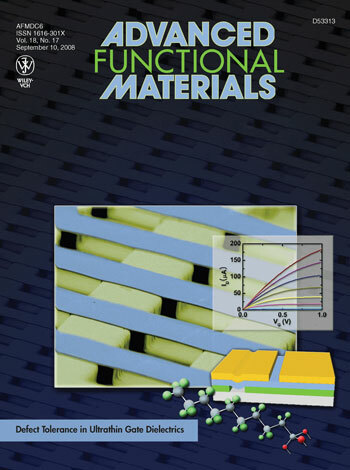 Guisinger, N.P., Greene, M.E., Basu, R., Baluch, A.S., Hersam, M.C., Room temperature negative differential resistance through individual organic molecules on silicon surfaces. 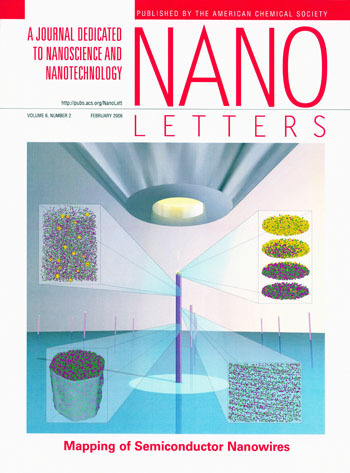 Nano Letters 4 (1): 55-59 (2004). Basu, R., Guisinger, N.P., Greene, M.E., Hersam, M.C., Room temperature nanofabrication of atomically registered heteromolecular organosilicon nanostructures using multistep feedback controlled lithography. 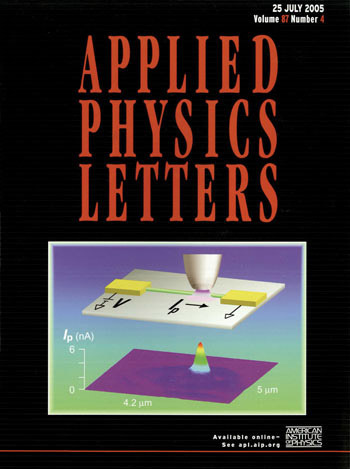 Applied Physics Letters 85 (13): 2619-2621 (2004). Ruberti, J.W., Curcio, C.A., Millican, C.L., Menco, B.P.M., Huang, J.D., Johnson, M., Quick-freeze/deep-etch visualization of age-related lipid accumulation in Bruch's membrane. Investigative Ophthalmology & Visual Science 44 (4): 1753-1759 (2003). Ottino, J.M., Complex Systems. 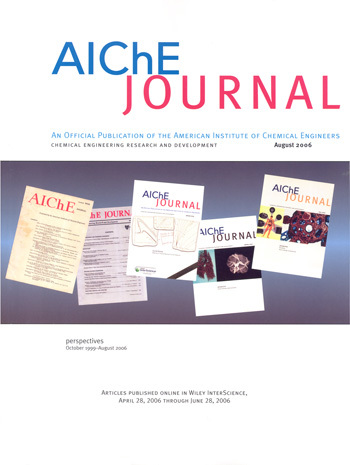 AIChE Journal 49 (2): 292-299 (2003). 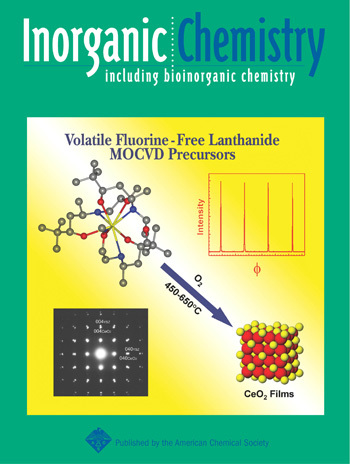 Facchetti, A., Mushrush, M, Katz, H.E., Marks, T.J., N-type building blocks for organic electronics: A homologous family of fluorocarbon-substituted thiophene oligomers with high carrier mobility. 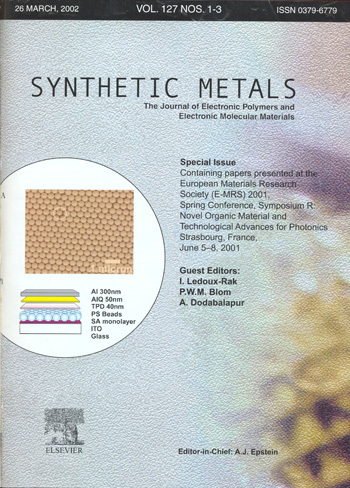 Advanced Materials 15 (1): 33 (2003). Kung, H.H., Taylor, K.C., Expanding role of chemical engineers in transportation-motivated R&D. 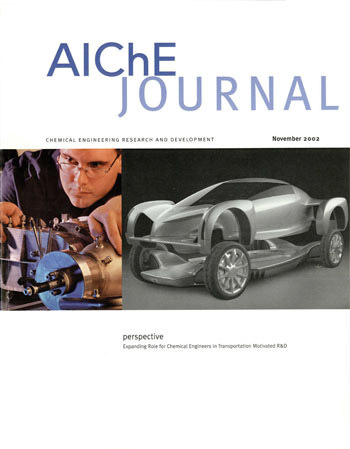 AIChE Journal 48 (11): 2422-2425 (2002). Grzybowski, B.A., Ishchenko, A.V., Shimada, J., Shakhnovich, E.I., From knowledge-based potentials to combinatorial lead design in silico. Accounts of Chemical Research 35 (5): 261-269 (2002). 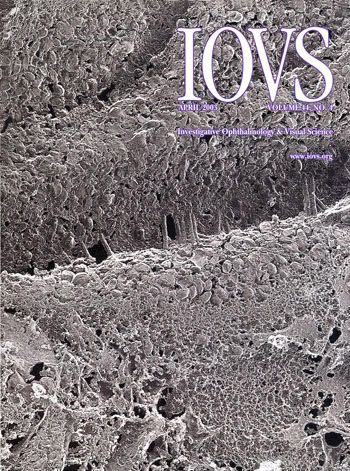 Alkemper, J., Mendoza, R., Voorhees, P.W., Morphological evolution of dendritic microstructures. Advanced Engineering Materials 4 (9): 694-697 (2002). Grzybowski, B.A., Whitesides, G.M., Three-dimensional dynamic self-assembly of spinning magnetic disks: Vortex crystals. 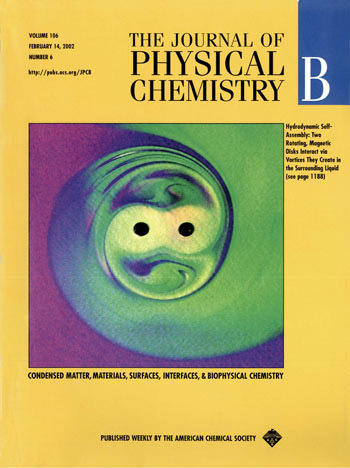 Journal of Physical Chemistry B 106 (6): 1188-1194 (2002). Edleman, N.L., Wang, A.C., Belot, J.A., Metz, A.W., Babcock, J.R., Kawaoka, A.M., Ni, J., Metz, M.V., Flaschenriem, C.J., Stern, C.L., Liable-Sands, L.M., Rheingold, A.L., Markworth, P.R., Chang, R.P.H., Chudzik, M.P., Kannewurf, C.R., Marks, T.J., Synthesis and characterization of volatile, fluorine-free beta-ketoiminate lanthanide MOCVD precursors and their implementation in low-temperature growth of epitaxial CeO2 buffer layers for superconducting electronics. Inorganic Chemistry 41 (20): 5005-5023 (2002). Lambert, J.B., Archaeological chemistry. Accounts of Chemical Research 35 (8): 583-584 (2002). 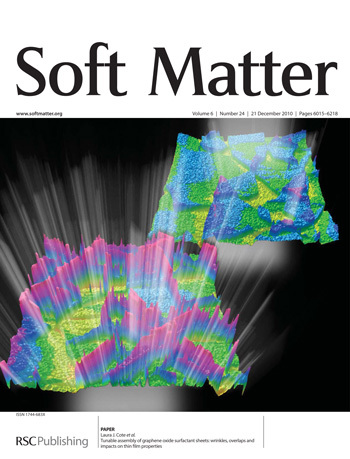 Sebastian, J.T., Assaban, A., Seidman, D.N., Kooi, B.J., De Hosson, J.T.M., A subnanoscale investigation of Sb segregation at MnO/Ag ceramic/metal interfaces. 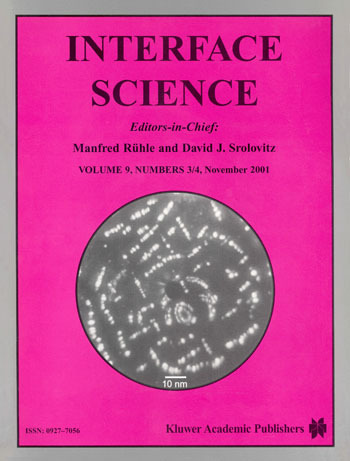 Interface Science 9 (3-4): 199-211 (2001). Hatzimanikatis, V., Bioinformatics and functional genomics: Challenges and opportunities. 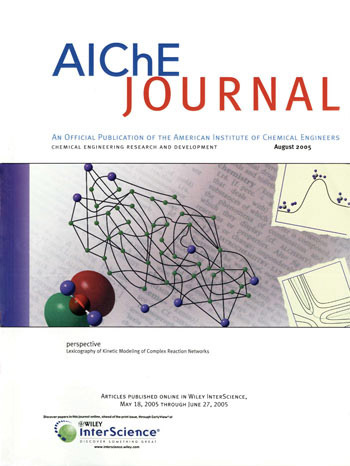 AIChE Journal 46 (12): 2339-2343 (2000). Hill, K.M., Khakhar, D.V., Gilchrist, J.F., McCarthy, J.J., Ottino, J.M., Segregation-driven organization in chaotic granular flows. Proceedings of the National Academy of Sciences of the United States of America 96 (21): 11701-11706 (1999). 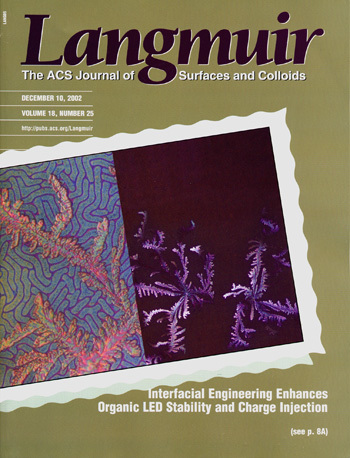 Hill, K.M., Gilchrist, J.F., Ottino, J.M., Khakhar, D.V., McCarthy, J.J., Mixing of granular materials: A test-bed dynamical system for pattern formation. International Journal of Bifurcation and Chaos 9 (8): 1467-1484 (1999). Fountain, G.O., Khakhar, D.V., Ottino, J.M., Visualization of three-dimensional chaos. 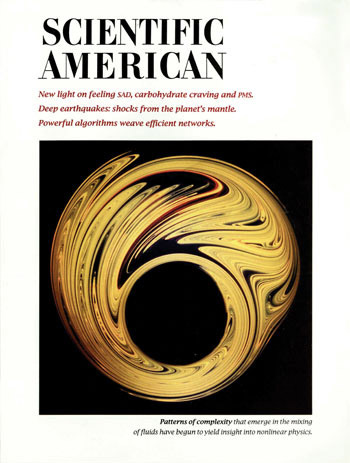 Science 281 (5377): 683-686 (1998). Schuster G.M., Melnikov, G., Katsaggelos, A.K., Operationally optimal vertex-based shape coding. 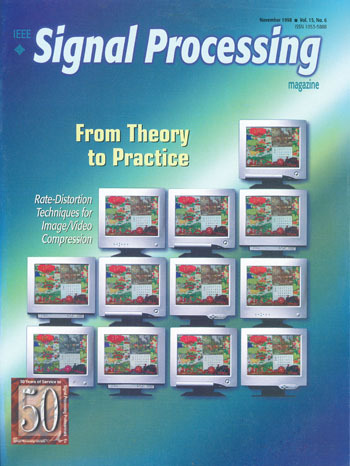 IEEE Signal Processing Magazine 15 (6): 91-108 (1998). 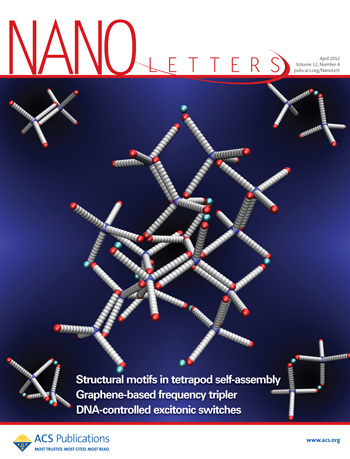 Stupp, S.I., LeBonheur, V., Walker, K., Li, L.S., Huggins, K.E., Keser, M., Amstutz, A., Supramolecular materials: Self-organized nanostructures. 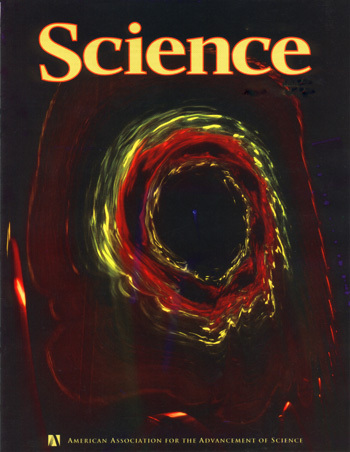 Science 276 (5311): 384-389 (1997). Banham, M.R., Katsaggelos, A.K., Digital image restoration. 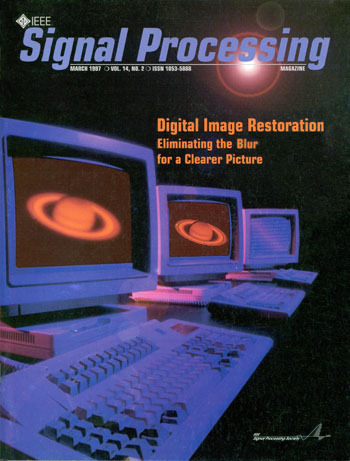 IEEE Signal Processing Magazine 14 (2): 24-41 (1997). 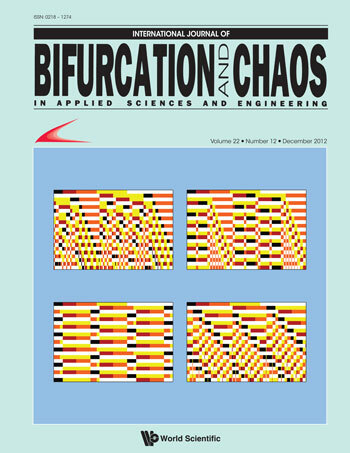 Muzzio, F.J., Swanson, P.D., Ottino, J.M., Mixing distributions produced by multiplicative stretching in chaotic flows. 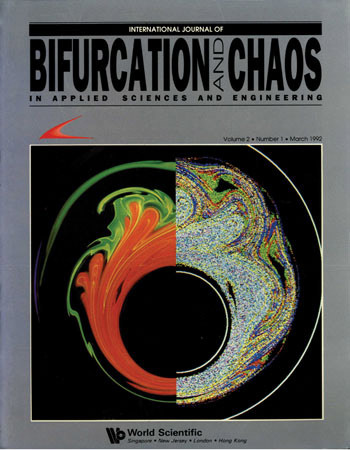 International Journal of Bifurcation and Chaos 2:37-50 (1992). Ottino, J.M., The mixing of fluids. 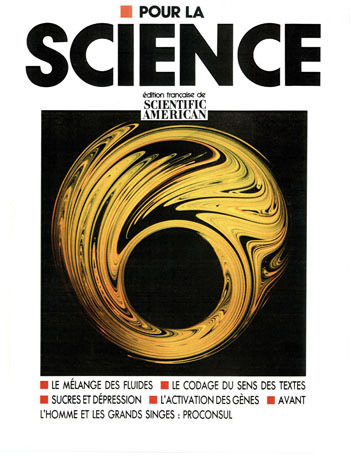 Scientific American 260 (1): 56-67 (1989). Ottino, J.M., Le m&Eacute;lange des fluids. Mesuel 137: 32-42 (1989). 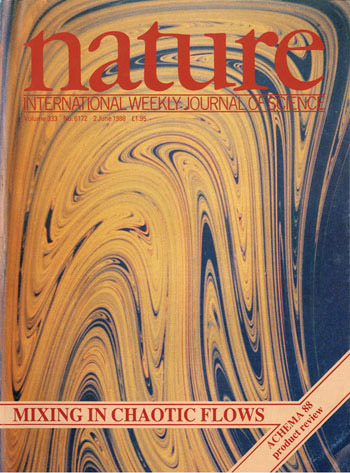 Ottino, J.M., Leong, C.W., Rising, H., Swanson, P.D., Morphological structures produced by mixing in chaotic flows. Nature 333 (6172): 419-425 (1988). 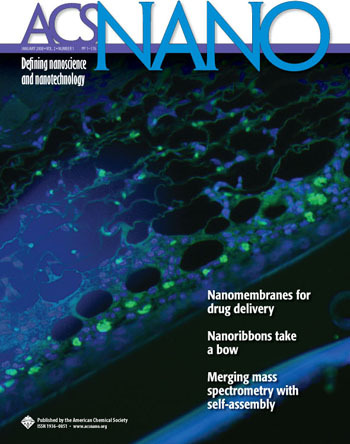 Chow, E.K.H., Perstorff, E., Cheng, G.H., Ho, D. Copolymeric nanofilm platform for controlled and localized therapeutic delivery. ACS Nano 2 (1). 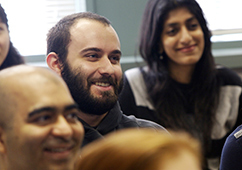 Students and faculty can see the smallest parts of our world at the Northwestern University Atomic and Nanoscale Characterization Experimental Center. As dean of Northwestern Engineering, Ottino has implemented several new initiatives in complexity, design, entrepreneurship, and sustainability. Find which program is right for you through our customized program guide.